Nairobi | Kenya will place microchips in the horn of every rhino in the country in a bid to stamp out a surge in poaching the threatened animals, wildlife officials said Wednesday (October 16). “Poachers are getting more sophisticated in their approach,” Paul Udoto, spokesman for the Kenya Wildlife Service (KWS), told AFP. The World Wildlife Fund donated the chips as well as five scanners at a cost of $15,000, although tracking the rhino to dart them and fit the device will cost considerably more. “Investigators will be able to link any poaching case to a recovered or confiscated horn, and this forms crucial evidence in court, contributing towards the prosecution’s ability to push for sentencing of a suspected rhino criminal,” KWS said in a statement. UNITED NATIONS (United States) | Saudi Arabia…rejected a UN Security Council seat Friday, accusing the UN body of “double standards” over the Syria war and other trouble spots in an unprecedented diplomatic broadside. The Saudi snub sparked disarray at the Security Council. The oil-rich Gulf monarchy had only won the seat on Thursday at a UN General Assembly election. Russia criticized the Saudis’ “strange” decision but the…kingdom got a more understanding reaction from its western allies. UN leader Ban Ki-moon said Saudi Arabia did not immediately send notification of its decision to reject the term due to start on January 1. But senior UN envoys said they did not expect the Saudi government to reverse the decision, which was announced in an outspoken foreign ministry statement. Diplomats and analysts said the Saudi gesture was mainly directed at the United States, [since President Obama] first threatened a military strike against Syria then backed down and which has started a dialogue with Riyadh’s arch-foe Iran. “It is hard not to think that Riyadh’s decision reflects an overall cooling of the US-Saudi relationship,” Charles Dunbar, a professor at Boston University and former US ambassador in the Middle East and UN envoy on the Western Sahara conflict. “Syria and Iran would seem to be the two most prominent reasons for the downturn in relations,” he added. “It is a cry of exasperation with Washington,” said a UN diplomat. 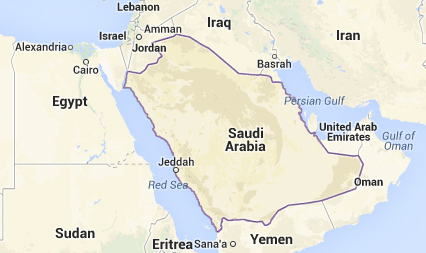 Saudi Arabia was one of five nations elected by the UN General Assembly to a two-year Security Council term. The others were Chad, Chile, Lithuania and Nigeria. All had stood unopposed. No country has ever won a council seat and then refused to take it up. Saudi Arabia’s UN ambassador, Abdullah Al-Mouallimi, gave several press interviews hailing the election after the result was announced. But the celebrations had barely finished when the Saudi foreign ministry announced the withdrawal. Diplomats highlighted how Saudi Arabia’s Foreign Minister Prince Saud al-Faisal refused to speak or even hand out a copy of his speech at the UN General Assembly in September, in a show of anger over the international handling of the Syria conflict. If Saudi Arabia maintains its stance, the Asia-Pacific group of nations would have to propose a new candidate for the UN General Assembly to vote on. Amid the diplomatic disarray, the decision again highlighted international divisions over the Syria conflict. The Security Council passed its first resolution on the civil war in September, when it ordered the destruction of President Bashar al-Assad’s chemical weapons. Russia and China have vetoed three other western-backed resolutions seeking to put pressure on Assad over the conflict, which the UN says has left more than 100,000 dead. The Russian foreign ministry sharply criticized Saudi Arabia’s “strange” argument on the council’s record on Syria. Russia and Saudi Arabia have a traditionally testy relationship made worse by the Russian government’s support for Syria’s ruler Bashar Assad while Saudi Arabia is a major backer of opposition rebels. The Australian state of Queensland is creating a special prison to house gang members, banning them from owning tattoo parlors and crushing their motorcycles under the world’s toughest anti-gang measures. Facing a turf war between rival gangs which has spilt into bombings, shootings and street brawls across the country, the state of Queensland has introduced new measures that include a prison for motorcycle gang members, or “bikies,” where inmates are kept in cells for 23 hours a day. The state is also introducing a ban on gang members owning tattoo parlors and bans on some gang members wearing their emblems. 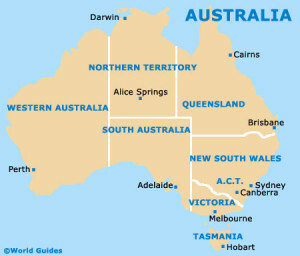 Other states are planning to deport foreign gang members who have rushed to Australia to join the warring sides. 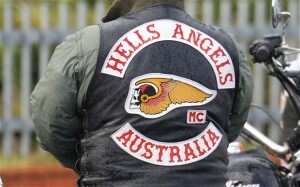 The ongoing battle has involved a fight between rival Australian and international gangs, with the Hells Angels reportedly confronting a local gang called the Finks, which has come under the wing of United States-based Mongols. Other gangs include the Bandidos, the Nomads, the Rebels, Notorious and the Comancheros. The gangs tend to have clubhouses and ride around in large groups but have increasingly become involved in crime and the drug trade. The dispute erupted late last month with a violent street brawl involving dozens of bikies on the Gold Coast, a popular beachside tourist strip in Queensland. The brawl raised fears about the impact on tourism and prompted the state government to launch drastic measures to stem the violence, including its new special prison near the city of Brisbane. The prison will not have a gym or television and the inmates will be subject to regular searches and drug tests. The state’s police chief, Brett Pointing, said the recent violence had “terrified” the public. “We’re seeing a lot of this very, very violent gang activity spilling out onto the streets, spilling out into public places – and it terrifies the public,” he said. [Newly elected Prime Minister] Tony Abbott’s government has pledged federal support and the army has been called in to assist with arrests in the state of Victoria. Queensland’s war on the gangs prompted fears its parliament could come under attack and led to the gates of parliament house being locked and public tours being suspended. “Just as we’re going to crush the criminal motorcycle gang enterprises, we’re going to crush the bikes,” said the state’s attorney general, Jarrod Bleijie. b) Why is there a growing black market for rhino horns? b) Consider Russia's and China's roles in taking any action on Syria. What part have these two permanent members of the Security Council played in Syria? b) What other measures are officials taking against biker gangs in Australia? c) Do you think officials in Queensland have found the best solution for the biker gang crisis? Explain your answer. Poaching has risen sharply in Africa in recent years. Rhinos are not the only animals targeted; whole elephant herds have been massacred for their ivory. The lucrative Asian black market for rhino horn has driven a boom in poaching across Africa. Asian consumers falsely believe the horns have powerful healing properties. In August, poachers shot dead a white rhino in Nairobi's national park, a brazen raid in one of the best guarded sites in Kenya. Simply chopping the horn off the rhino has limited impact, Udoto explained. Poaching of the rhino horn is a lucrative industry, with much of the loot sold to the affluent in Asia, particularly China and Vietnam. In those countries, some believe the horns can cure a series of ills, including cancer and hangovers, and can boost virility. A kilogram fetches about $20,000, according to a report by Moses Montesh, a criminology professor at the University of South Africa. A single horn weighs about 22 pounds. Rhino poaching soared by 43% between 2011 and 2012, according to the International Union for Conservation of Nature, a worldwide network. Last year alone, about 745 rhinos were poached throughout Africa -- the highest number in two decades. Of those, a record 668 rhinos were killed in South Africa alone. In South Africa, officials are dying rhino horns pink and tingeing them with nonlethal chemicals to discourage consumers from buying them. Nations such as South Africa and Kenya have invested in unmanned drones, sniffer dogs and increased security, but have failed to halt the rising tide of rhino slaughter. 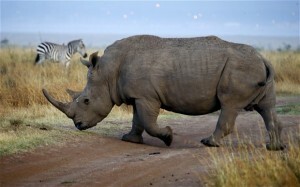 In Kenya, each rhino will get two microchips -- one in the horn and another one in an unidentified part of the animal. In addition to the microchips, the organization will use forensic DNA technology to identify the animals. "This will serve to strengthen rhino monitoring, protect the animals on site and also support anti-trafficking mechanisms nationally and regionally," WWF Kenya said. The microchip is less than 2 inches long and can barely be traced by poachers, Magori said. The fitting process is expected to take up to four months. Amnesty International on Monday (Oct. 21) said Saudi Arabia had failed to act on UN Human Rights Council recommendations and "ratcheted up the repression" since 2009, with the arbitrary detention and torture of activists. "Saudi Arabia's previous promises to the UN have been proven to be nothing but hot air," said Amnesty's MENA director Philip Luther, accusing the kingdom of relying "on its political and economic clout to deter the international community from criticising its dire human rights record." Amnesty documented other rights violations it said are committed by Saudi authorities such as "systemic discrimination of women in both law and practise" and "abuse of migrant workers."